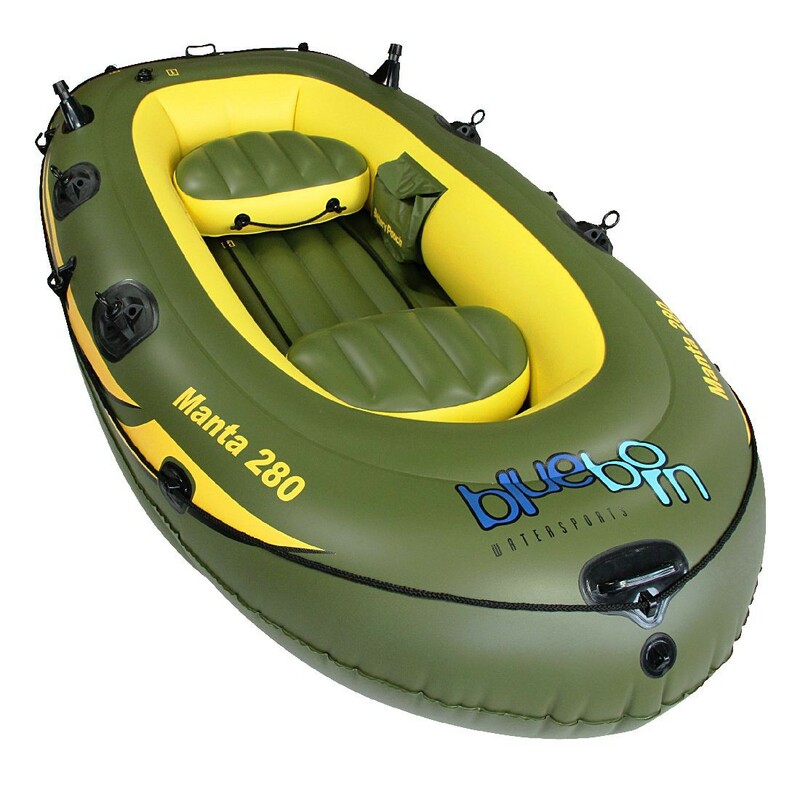 Buy Blueborn Boat Manta 280 - 3 person rowing boat, fishing boat 280x155cm (load capacity 280kg) from Blueborn at Camping Outdoor online. 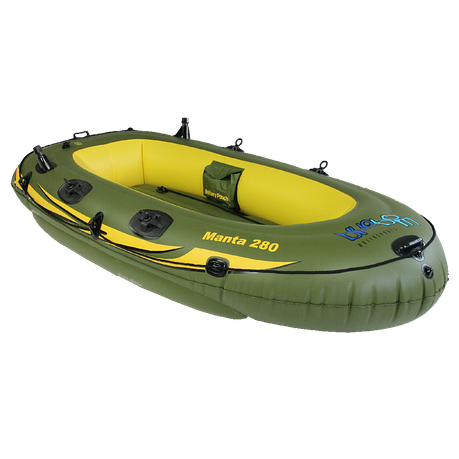 The clear advantages of an inflatable inflatable inflatable boat are obvious: low weight, small packing size, easy assembly and disassembly. This high quality rowing boat in a simple, elegant design is suitable for girls as well as for boys from the age of six, teenagers and adults. The stylish boat provides for the innovative look in every pool, pond, lake and excavator hole - a real eye-catcher for young and old. 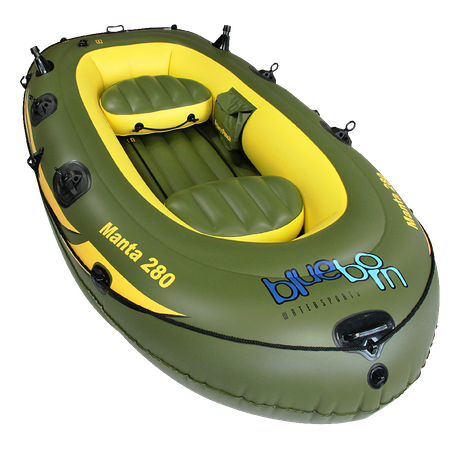 The Blueborn Manta has all the characteristics required for a perfect inflatable inflatable dinghy. The paddle boat is made of very strong and durable PVC, which guarantees a long life span. 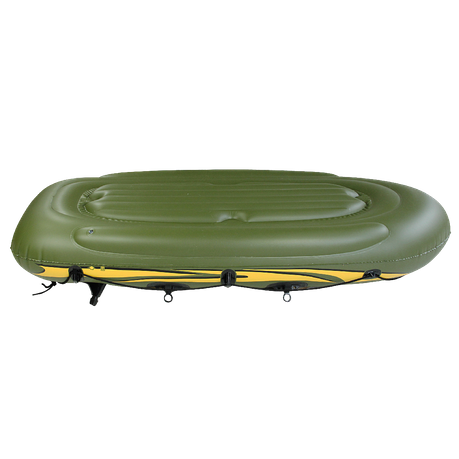 Five voluminous air chambers provide stability, comfort and extra buoyancy - nothing stands in the way of extensive paddling tours. 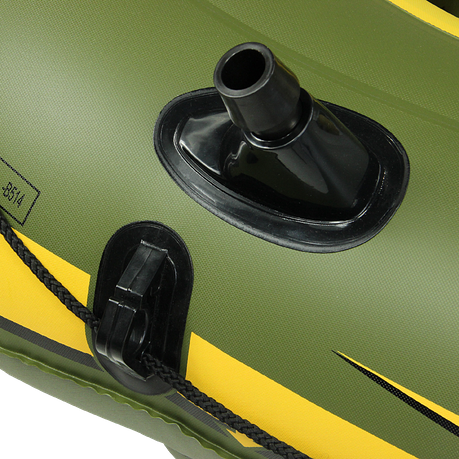 The construction of the boat is simple and quick - unpacking, inflating, departing. Both inflation and venting work quickly and comfortably thanks to the handy Boston valves. This rowing boat offers space for three people (load capacity up to 280 kg) and provides carefree hours on the water. 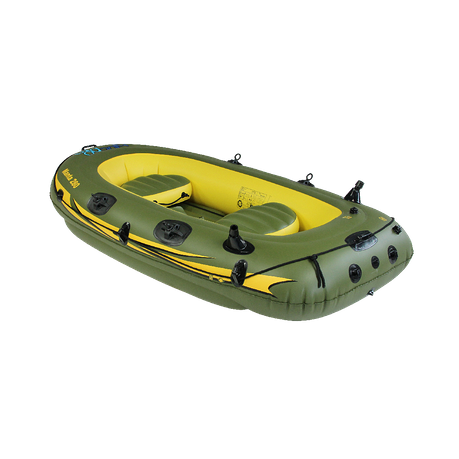 The bathing boat is equipped with four rotating oarlocks and has a circulating support rope which is securely attached to the boat by means of cable entries. 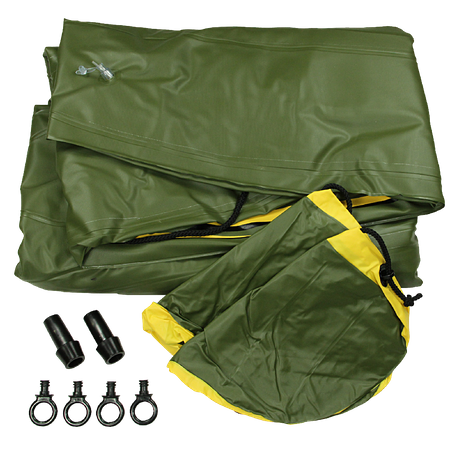 Two practical fishing rod holders and a sturdy utensil bag are of course also included with a fishing boat. Paddle and pump are not included in the scope of delivery - these can be found by clicking on the blue ´´Blueborn´´ below the article heading. Choose your accessories to suit your boat and your individual needs. The bathing boat ensures perfect bathing fun on warm days in the garden, lake, on the campsite or at the beach. Outdoor fans spend their free time with lots of fun on the water and paddling in the fresh air. On the lawn, the boat also serves as a cosy little paddling pool for children to cool off and play on hot summer days. This lightweight weight of approx. 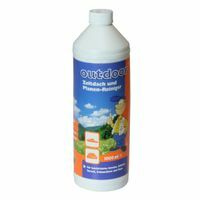 17 kg is ideal for taking away when a trip or holiday with your family, grandparents or friends is planned. 1. Attention: Not suitable for children under six years of age. 2. Attention: Use only in shallow water and under adult supervision. With dimensions of approx. 280 x 155 cm, the BLUEBORN Manta offers a high level of comfort and sufficient space for three adults (load capacity up to 280 kg). 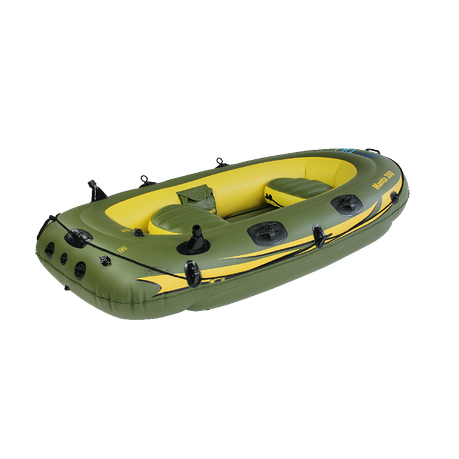 The high quality paddle boat is made of very strong and durable PVC, which guarantees a long life span. In any case, a repair kit is included in the scope of delivery. 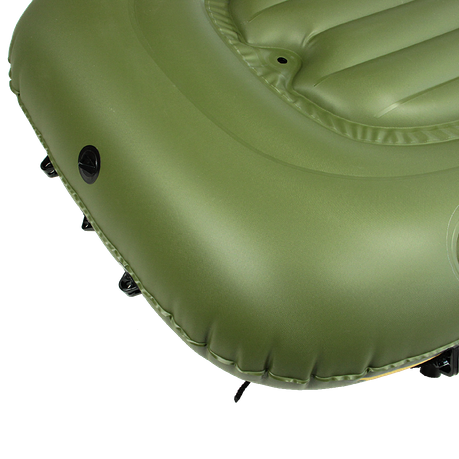 Two inflatable cushions offer additional comfort and can be placed anywhere. 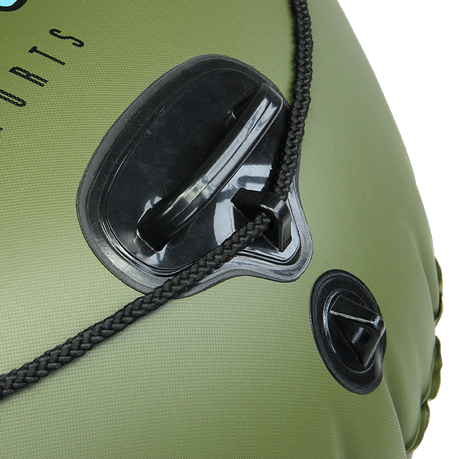 The five voluminous air chambers provide stability, comfort and extra buoyancy - nothing stands in the way of extensive paddling tours. The stabilisation chambers ensure a safe water position. 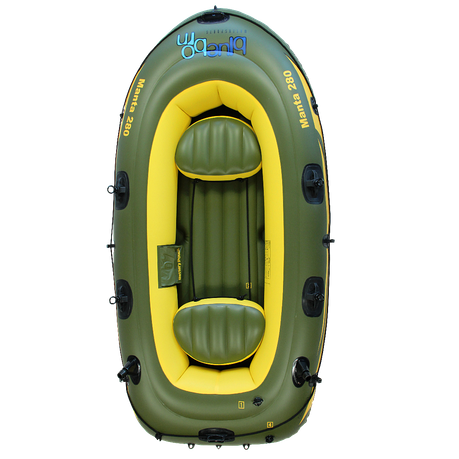 The classic fishing boat is equipped with four rotating oarlocks. 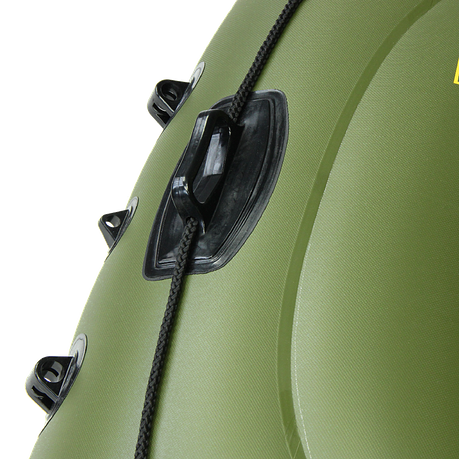 The circulating safety rope is guided by sturdy eyelets. Both inflation and venting work quickly and comfortably thanks to the handy Boston valves. 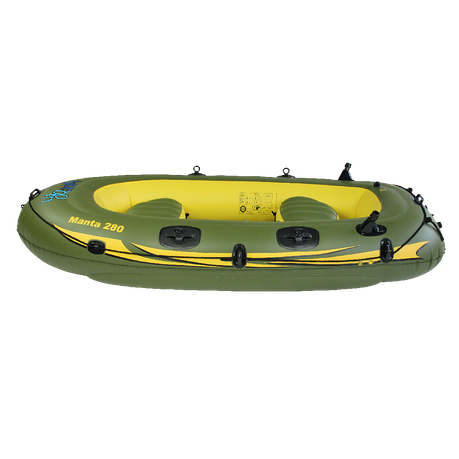 Two sturdy rod holders are firmly attached to the stern. 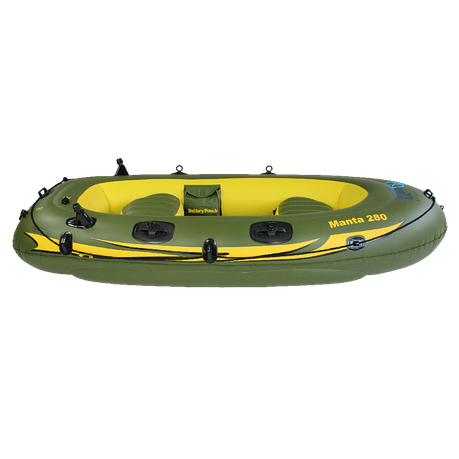 The bottom of the boat is also made of 100 percent durable PVC. The I-Beam centre web construction provides good stability. 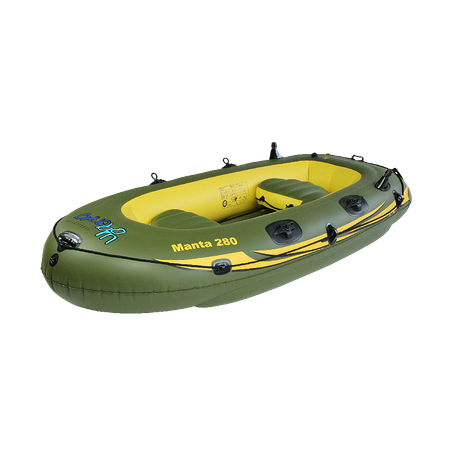 The ´´Manta´´ has all the characteristics required for a perfect inflatable inflatable dinghy. 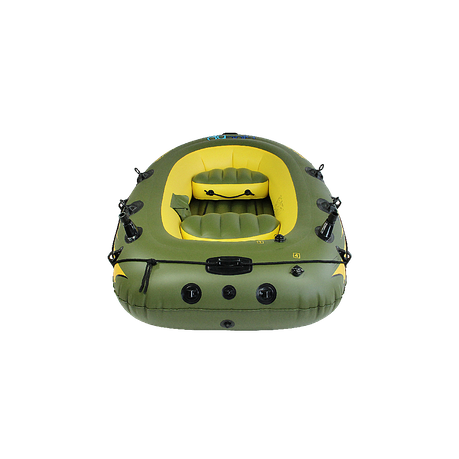 The total weight of the inflatable boat is 17 kg. All accessories easily fit into the boot. The packing size is only 65 x 45 x 40 cm. 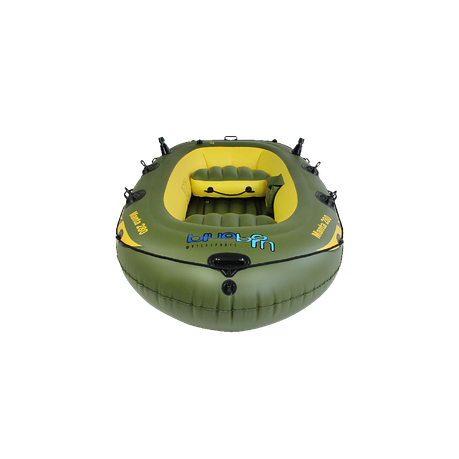 The versatile paddle boat provides special safety and stability due to its 5 air chambers. 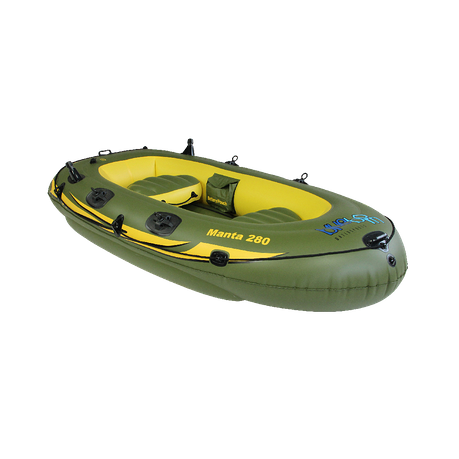 The paddle boat is made of hard-wearing PVC and is therefore very durable and robust. Up to 3 persons can sit comfortably in this rowing boat and go out on the lake, the river or the sea. 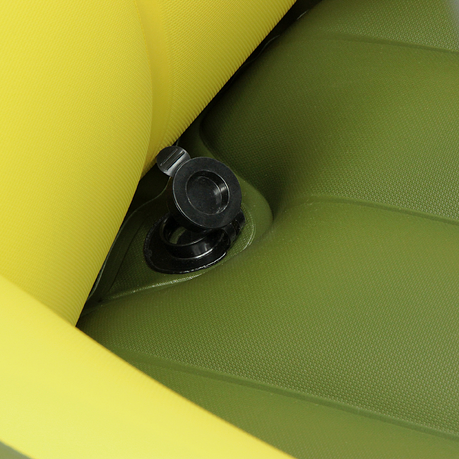 Two removable inflatable cushions ensure a high level of comfort. 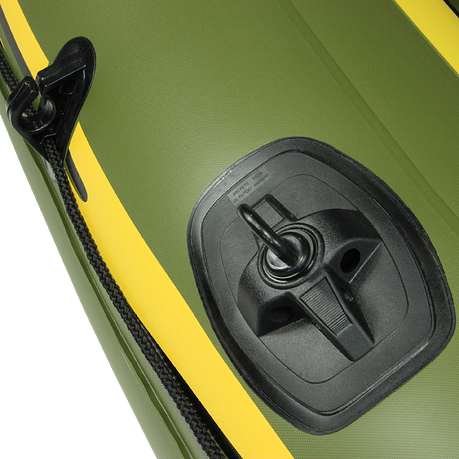 Due to the small packing size and the low weight, the outdoor boat is space-saving and easy to stow away. So it can easily be taken on your trips and transported in the trunk.